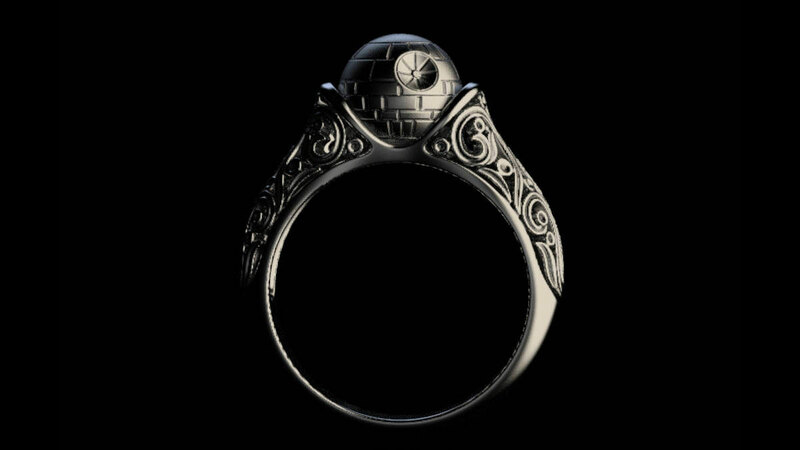 Ah, an engagement ring symbolic of your move to the Dark Side. Married. 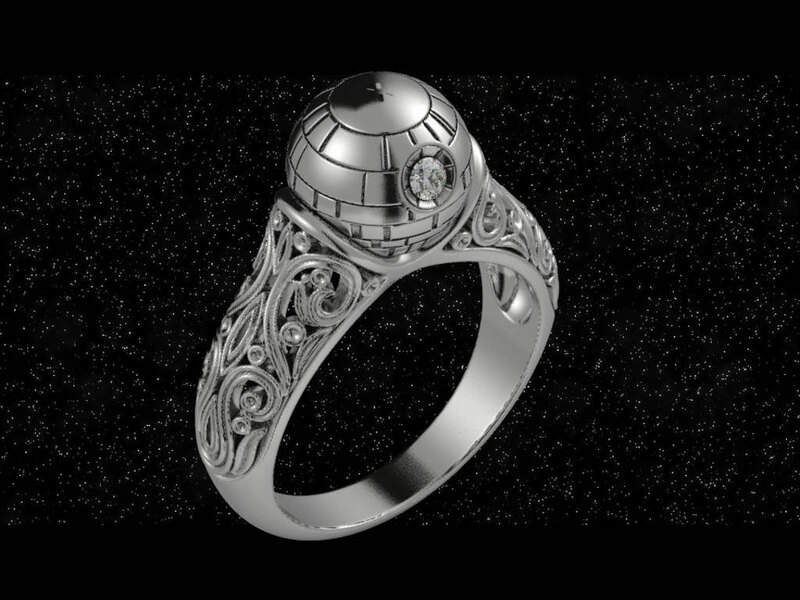 The Death Star engagement ring from Alien Forms Jewelry is far from the first Star Wars jewelry we've seen, but I think using an evil, death-dealing superweapon as the centerpiece of a couple's decision to commit their lives to one another so well encapsulates how many of us feel, that I decided it was worth its own feature. Yes, fine, it's personal too. My own "Death Star" march is only 3 weeks away. 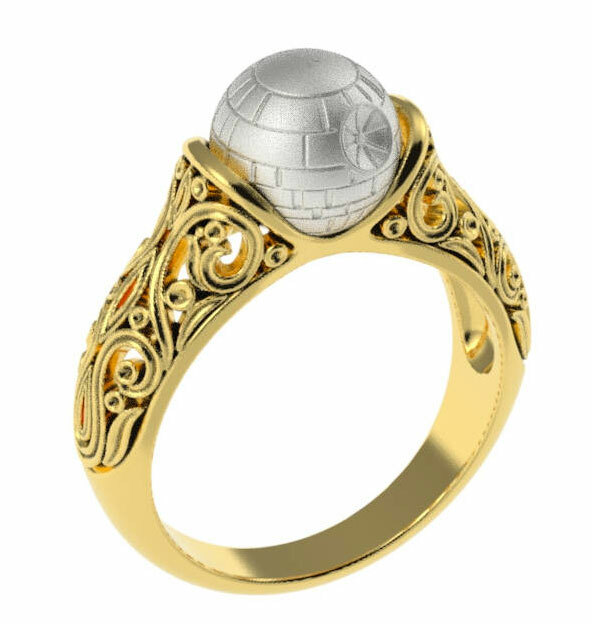 Alien Forms Jewelry can make this Star Wars-inspired vintage engagement ring in your choice of sterling silver 925, silver and gold, or 14K or 18K solid gold (yellow, white, or rose.) 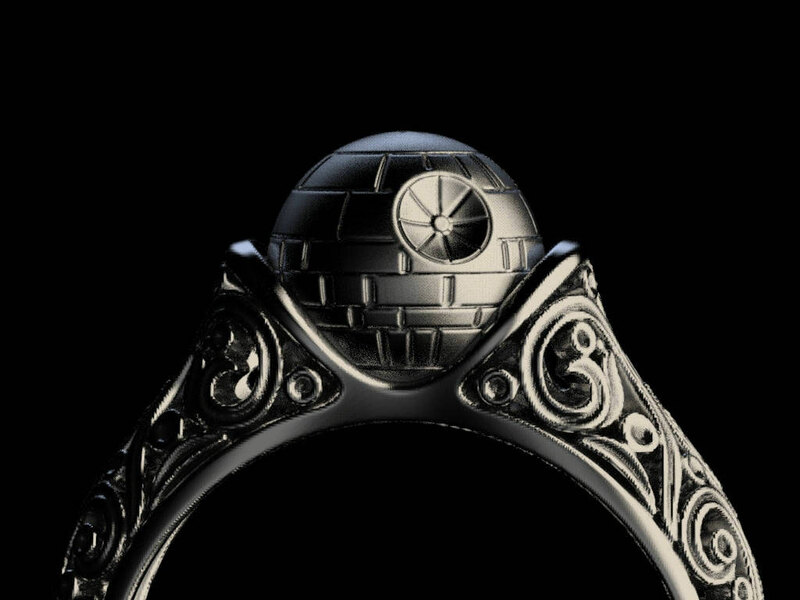 The eye of the Death Star also comes with a choice of your favorite natural gemstone or diamond. 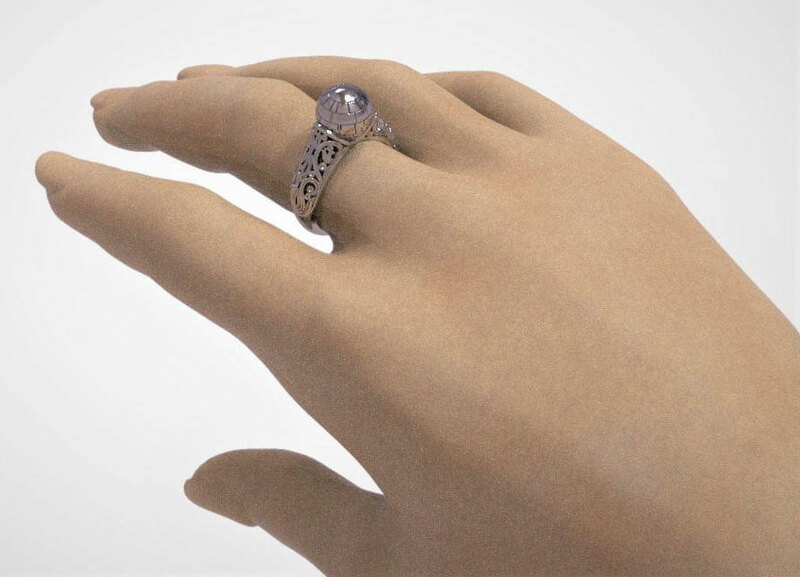 Superlaser sold separately.